When you are found to have a high blood level of cholesterol, it can be very helpful to change your diet and lifestyle to lower cholesterol. 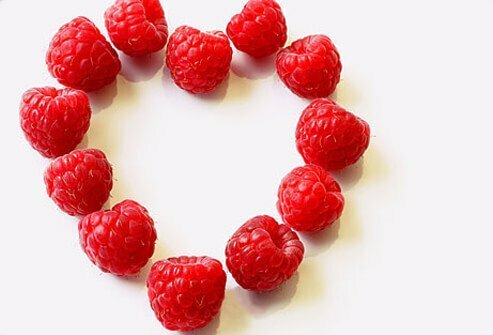 Lowering cholesterol has been shown to decrease the risk of heart disease. Even if you are taking a medication to lower your cholesterol levels, diet and exercise in addition can lead to optimal heart and blood vessel health. The following tips can be simple ways to help you to stay healthy. Actually, some cholesterol is necessary for proper body function. But dietary saturated fat and cholesterol both raise levels of LDL "bad" cholesterol. High levels of LDL cholesterol can cause plaque to build up in arteries, leading to heart disease and stroke. HDL is a "good" cholesterol in that it helps eliminate bad cholesterol from your blood. It is possible to lower LDL cholesterol and raise HDL cholesterol with your diet. Eating super-sized meals contributes to weight gain and high cholesterol. An easy way to practice portion control for a meal is to use your hand as a measuring instrument for portions. One handful is about the size of one portion. 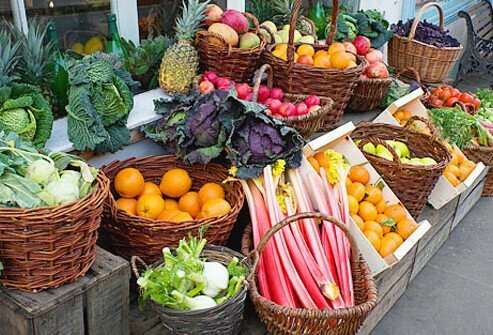 When it comes to fruits and vegetables, pick up the pace! Multiple servings throughout the day can help lower LDL "bad" cholesterol. Moreover, these foods have antioxidants that can be beneficial. Also, eating more vegetables and fruits often results in eating fewer high-fat foods. This can lower blood pressure promote weight loss. Fish is generally exceptionally heart healthy because it is high in healthy omega-3 fatty acids and low in saturated fat. 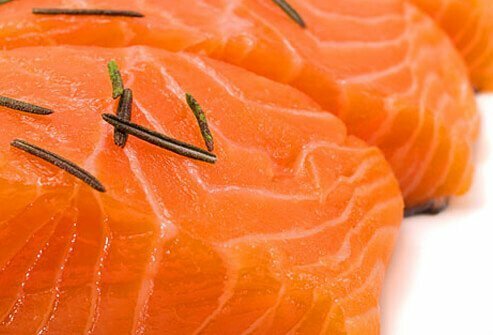 It is the omega-3 fatty acids that help lower blood levels of triglycerides. Especially emphasize fatty fish. Keep in mind that deep oil frying of any food diminishes the health benefits. 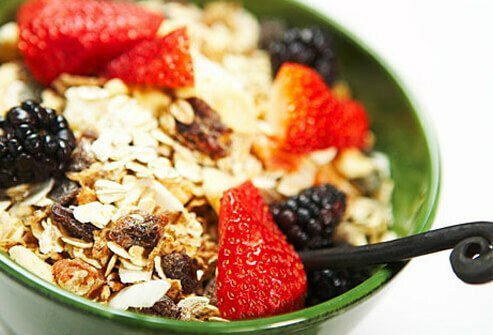 Oatmeal or whole-grain cereal have fiber and complex carbohydrates that help you to feel fuller for longer, so you'll be less inclined to overeat later in the day. 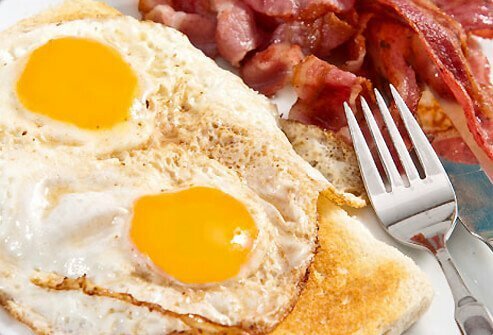 These breakfasts help reduce LDL "bad" cholesterol and can help with your weight control. 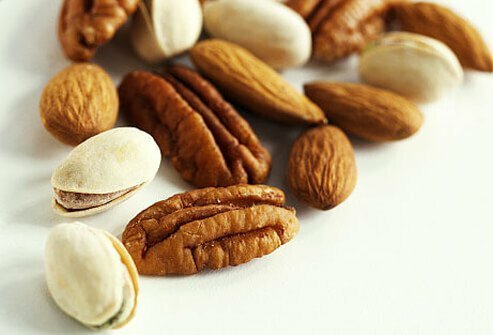 Nuts help to lower cholesterol because they are high in monounsaturated fat. This form of fat lowers LDL "bad" cholesterol while maintaining HDL "good" cholesterol levels. This can lower the risk of heart disease. 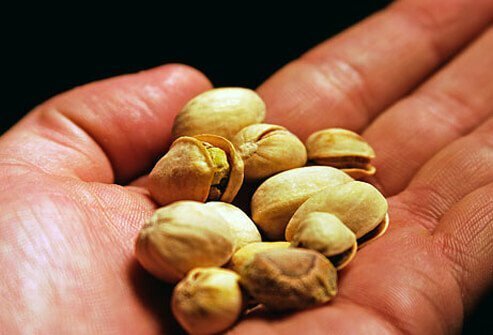 Only eat a handful, though, because nuts are high in calories, especially if they are coated in sugar or chocolate. Our daily fat needs are only about a third of our daily calories. 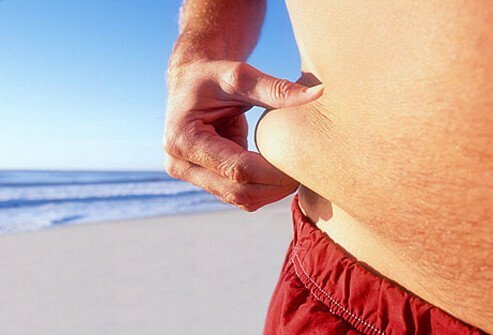 However, the form of fat makes a difference. 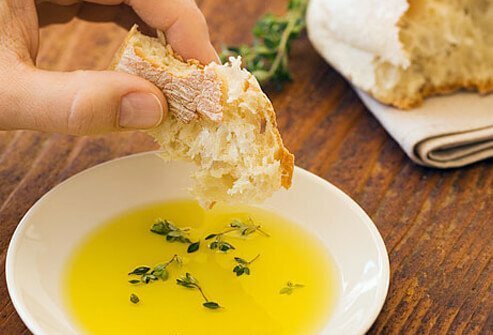 Unsaturated fats (in canola, olive, and safflower oils) lower LDL "bad" cholesterol levels. Saturated fats (in butter and palm oil) and trans fats increase LDL cholesterol. All fats have calories. Moderation is the key. Carbohydrates are important for energy production. However, there are differences in the quality of carbohydrates, too. Whole grains like beans, quinoa, whole-wheat pasta, and brown rice are high in fiber that can help lower cholesterol. 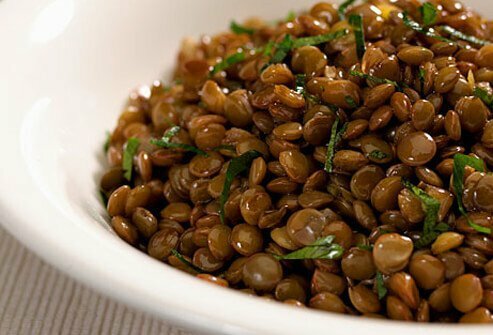 Whole grains also keep you feeling full longer. The carbohydrates in pastries, white rice, white bread, and potatoes boost blood sugar levels rapidly. 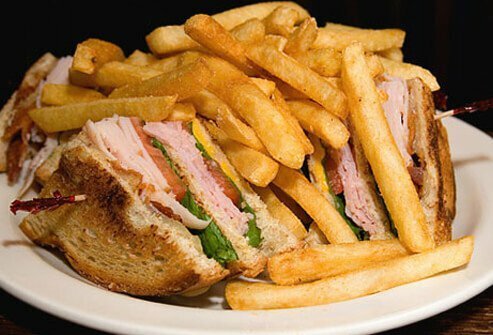 This can lead you to feel hungry sooner, potentially leading to overeating. Short intervals of regular exercise can help lower LDL cholesterol and raise HDL cholesterol. Maintain an ideal weight for lower blood pressure and heart disease risk. Exercise also improves cardiovascular health by helping to maintain an optimal body weight. Obviously, it is ideal when you can manage cholesterol without medication. Walking is easy, healthy, and good pair of shoes is your only requirement. This too can lower your risk of stroke and heart disease, help you lose weight, maintain balance, and keep bones strong. Short walks are much better than no walks. Any kind of cardiovascular activity can be beneficial to heart health. But check with your doctor for guidelines. Simple activities that can be of benefit include gardening, dancing, or taking the stairs instead of the elevator. Even housework can qualify as exercise. Stay on track with a consistent program of cholesterol management and learn the tricks that maintain your health. Checking food labels for nutrition facts can be very helpful. It also helps to vary your exercise routine during the week. When you eat out be careful about the quality and quantity of your food consumption. Watch out for hidden salt, calories, and saturated fats. Don’t super-size your order. Choose broiled, baked, steamed, and grilled foods instead of fried. Have the sauces on the side. 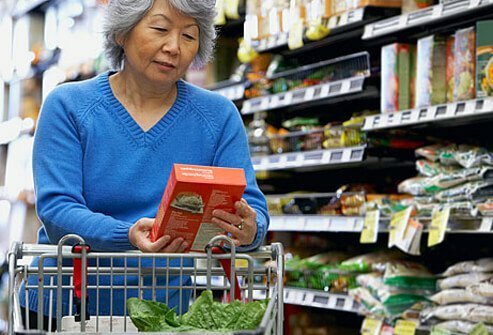 Managing cholesterol with your diet begins at the grocery store. Look at nutrition labels. Check serving sizes. Don’t be a victim of aggressive marketing advertisements. Does the package contain two servings instead of one? Stress can raise blood pressure, which can lead to heart and blood vessel disease. Stress reduction can be fun. Take a break from your usual routines of daily living. 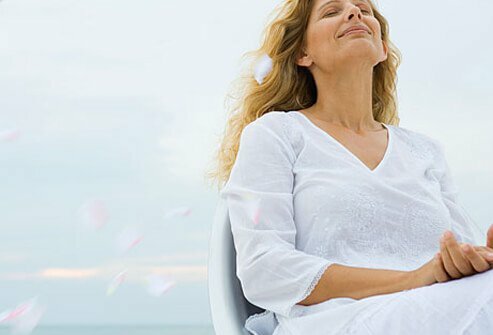 Simple and convenient methods to reduce stress include meditation, biofeedback, and relaxation exercises. 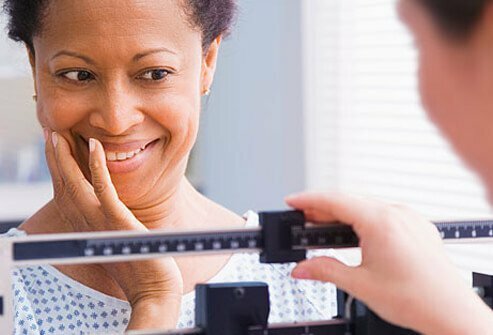 Losing weight when you are obese lowers blood pressure, cholesterol, and triglycerides and decreases your risk of stroke and heart disease. An optimal body weight puts less stress on the heart. It also reduces the strain on joints and ligaments. Continue managing your cholesterol for life with regular doctor checkups, exercise, and healthy food choices. 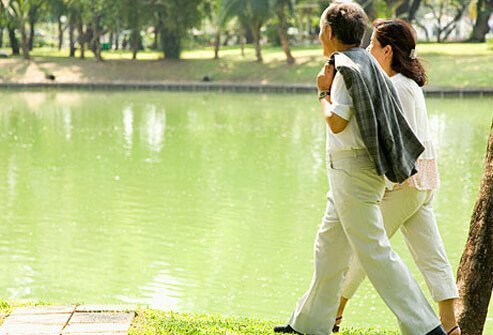 These lifestyle changes can help you to reduce the risk of disease and promote longevity. Work with your health care professionals to get tips to improve your cholesterol by changing your routine. Anthony S. Fauci: "Harrison's Principles of Internal Medicine"